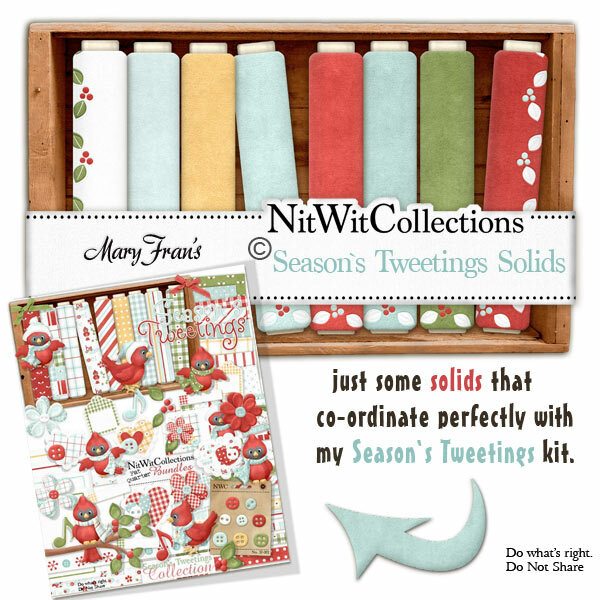 "Season's Tweetings" Solids provides you with all of the solidly coloured digital background papers to create with. They are perfect accessory papers to use when creating your scrapbooking layouts and cards! These versatile digital papers are NOT included in the FQB "Season's Tweetings" Collection so please don't miss out! 8 Solid digital background papers with a holly border around all four sides and coordinating with my "Season's Tweetings" Collection.